The music video for "Leningrad" features images of the "Cold War" in the US and the former Soviet Union. © 1989 Sony Music Entertainment. Billy Joel's "Leningrad" is a postcard of his time and tour in Russia in 1987. In some ways it is a Russian counterpart to his 1982 song "Allentown." 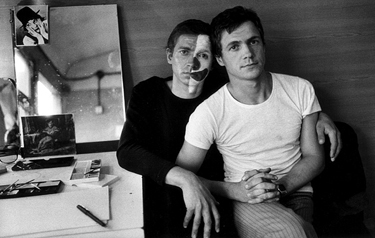 Musically, the songs are nothing alike, but thematically they are very similar, tracing the lives of the Soviet people during the Cold War years, as embodied by the character Viktor (Viktor Razinov, a Russian circus clown whom became friends with Billy during his Russia tour). Billy had an obvious affection for the people he met in Russia; the "enemy" was actually not much different than us. This is one of the better songs on Storm Front but is often overlooked by Billy Joel fans and favorable critics. It's political, but from a personal point of view. "What do they keep on fighting for?" Viktor and friend. Credit: Mary Ellen Mark. In a 1989 article from the Orlando Sentinel ​Billy explains how he musically contrasted the story of Viktor, the Russian, with himself, the American. "I put the Russian guy in major keys and the America kid in minor keys. I went for an interesting juxtaposition, because the Russian modality is usually a minor modality. So I reversed it." 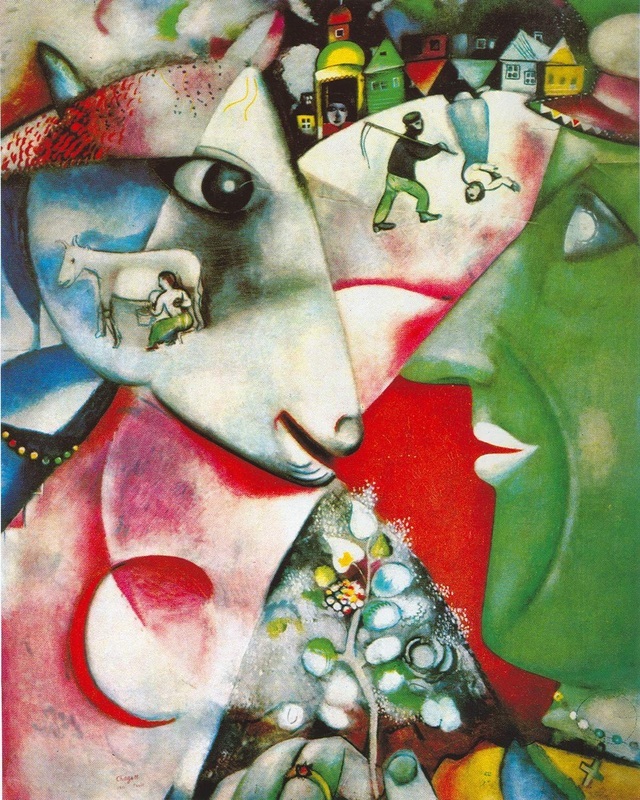 I and The Village by Marc Chagall. The painting brilliantly captures life in a small Russian village. My eldest daughter's favorite painting. 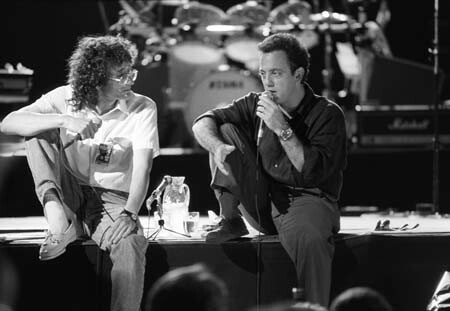 During his concerts and press conferences in Russia, Billy was accompanied by translator Oleg Smirnoff and by Viktor who came to each concert. The trip had a profound effect on Billy, his group, and the Russian people. Read the special edition of The Root Beer Rag about the tour, with photos by renowned photographer Mary Ellen Mark. ​​ Columbia Records did not release "Leningrad" as a single in the U.S., but the song did reach #14 in Germany and #15 in the Netherlands. This is another song that would fit on Billy's European collection ("Nocturne," "Vienna," "C'etait Toi" and "Through The Long Night"). Columbia Records did release a live album, Kohuept, in 1987 featuring most of the songs from Billy's concerts in Leningrad and Moscow. At the time, Columbia also released a video of the concerts, "Live in Leningrad," and a documentary of Billy's Russia trip entitled "A Matter of Trust." 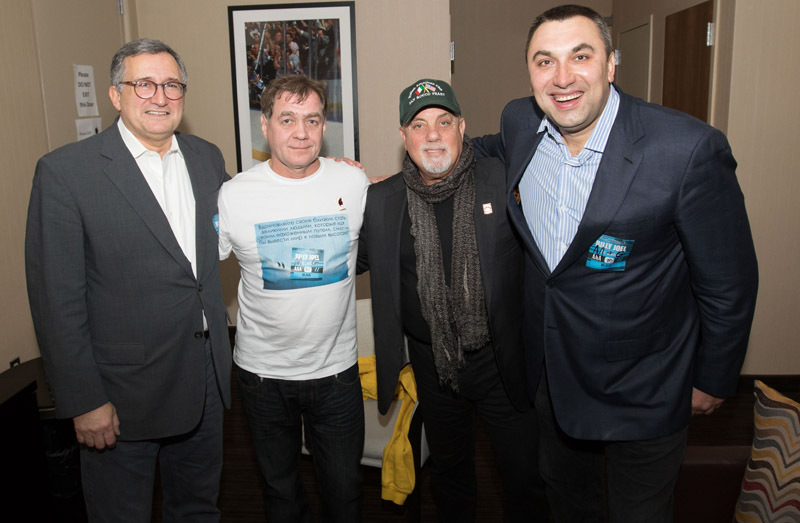 Oleg Smirnoff, Viktor Razinov, Billy Joel, and Andrew Coknob reunited in October 2015. Source: BillyJoel.com. In 2014, a new documentary on Billy's historic concerts in Russia aired on Showtime, A Matter of Trust: The Bridge to Russia. This was later released on DVD along with new CDs of the concerts with additional songs under the same title. In 2015, Oleg Smirnoff, Victor Razinov, and Andrew Coknob were reunited with Billy at a concert at Madison Square Garden on October 29, 2015. They traveled from Russia to see Billy perform. See article from BillyJoel.com. Billy discusses "Leningrad" on SiriusXM. Live version performed in Frankfurt, Germany in 1994. Billy discusses "Leningrad" and Viktor from a Q&A session in Germany in 1995, then plays "Piano Man." Billy discusses his groundbreaking concerts in Russia, the Cold War, and his friendship with Viktor in this MTV Rockumentary from 1990, beginning at 13:09. This is a preview of "A Matter of Trust" which aired on Showtime in 2014 (and later released on DVD).